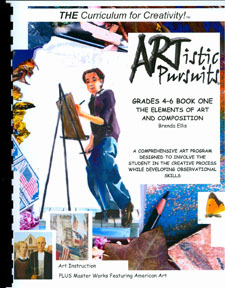 My review item today is Artistic Pursuits Grades 4-6 Book One called The Elements of Art and Composition. This is a great book to start drawing basics with. My observation before starting this book would be to tell you that my children nor myself are what I would consider great artist but we enjoy art. With the assistance of this book we are beginning to discover and observe art in a whole new way. The beginning process is teaching us how to focus on one element of art at a time and block out all the others. This is giving us confidence to just explore our creativity. 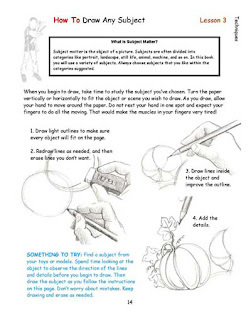 I have always purchased simple "how to draw" books that take you step by step on how to draw a certain object. 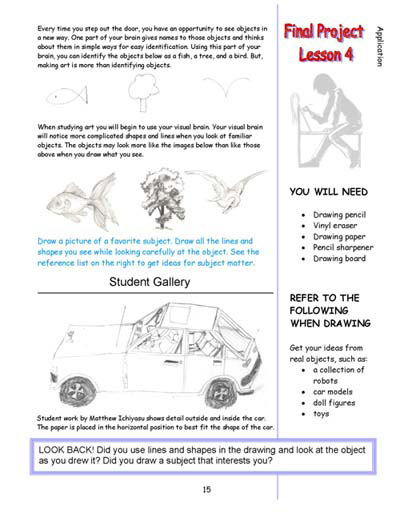 With this program you decide on many of the objects you would like to draw and focus on just the outline and then add in other elements as you progress in your abilities. I love the fact that you are retraining your brain to see in an "out of the box" sort of way! Here are a few sample lessons from Book 1 - grades 4-6. 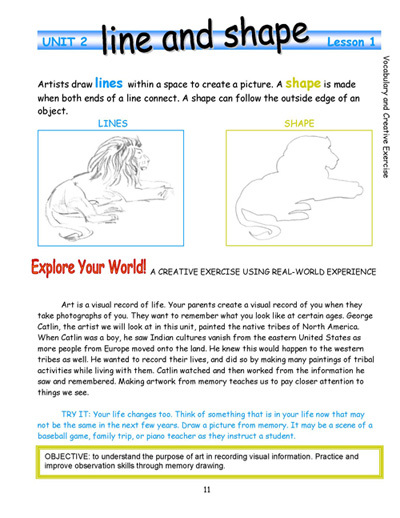 At the beginning of each lesson you begin by building your visual vocabulary. 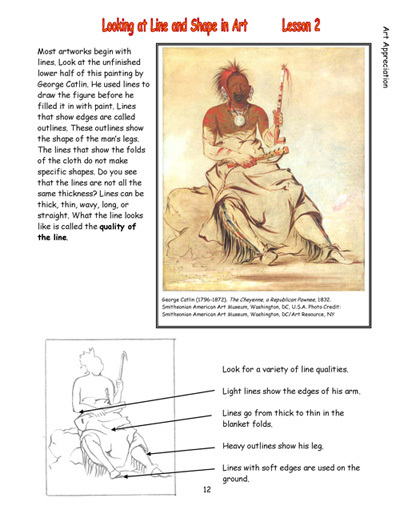 Students are shown which topic to focus on and this is explained through words and pictures. Then the student is presented with a master artwork and shown how to look for the topic they are on in that artwork. Students learn about artists and the times they lived in through art history. Students learn different techniques and tools of art. 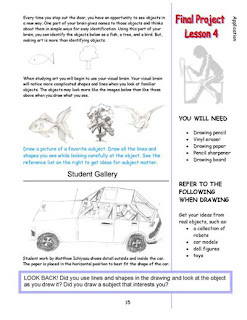 Students do a final project incorporating the new techniques and application of the topic. 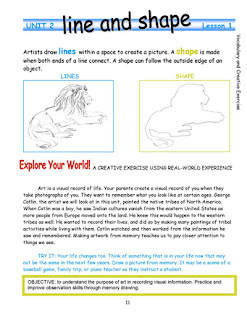 To get started with the program you will need to have a few art materials. 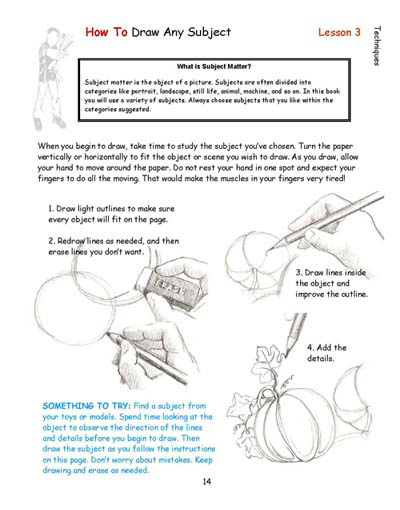 These materials are available at a discount here and also at the Artistic Pursuits website. You do not need the all of the materials to begin the program. The lessons are written to the student so no parent preparation is needed. There are 64 projects in each book and they offer books for preschool, K-3, and 4-12! You can click on each book to see what is included in each. The recommended scheduling is one hour with two classes per week. These are only recommendations - this program is very easy to tweak to fit many different schedules. The cost of Book 1 for grades 4-6 is $42.95 plus s/h and can be purchased here. Would our family purchase this book? Yes! The cost is awesome. I was able to use this book with all 3 of my children who are in grades 2, 4, and 7 with no problems at all. Here are a few of our masterpieces! 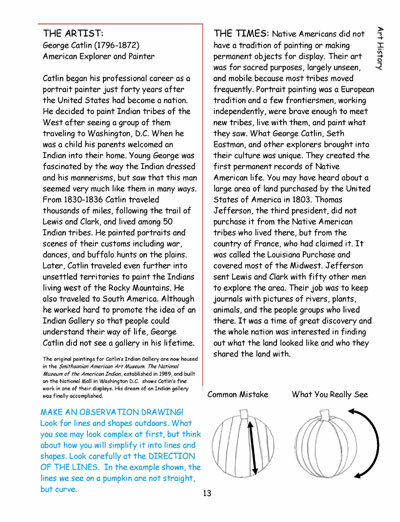 Don't forget to check out what my fellow crewmates thought of this and other Artistic Pursuits products. **Disclaimer: I received a free copy of this book in exchange for my review. The opinions here are my honest and true evaluation! Melissa, Thank you for such a great post. Very informative! 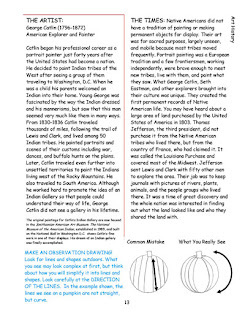 Last year, while at a homeschool convention, I came very close to purchasing Artistic Pursuits. I hear such good things about it. Maybe I'll take a closer look for next year. Thanks for stopping by Angela! We are looking forward to "finding" the time to fit in more lessons,lol. It is really simple to incorporate though - just taking the time to do it!